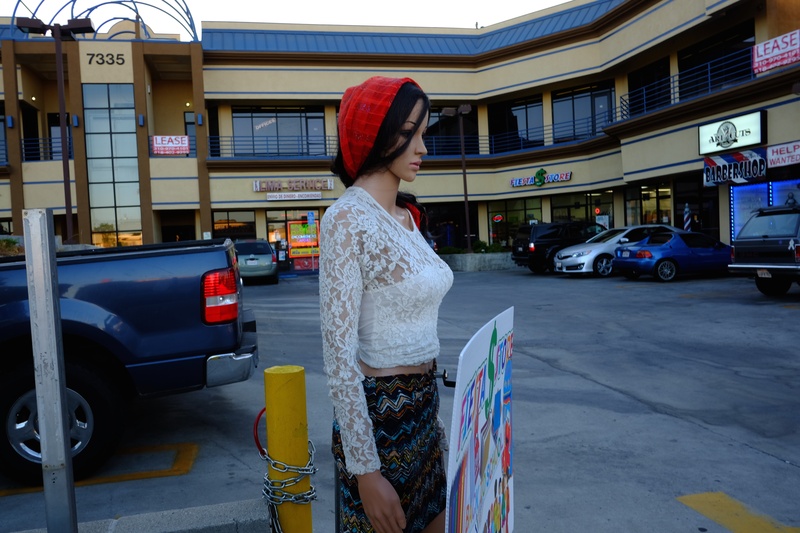 Here are some additional photos from my exploration (along with “Up in the Valley” pal Andreas Samson) as we walked in the commercial neighborhood along Van Nuys Boulevard from Sherman Way to Saticoy. 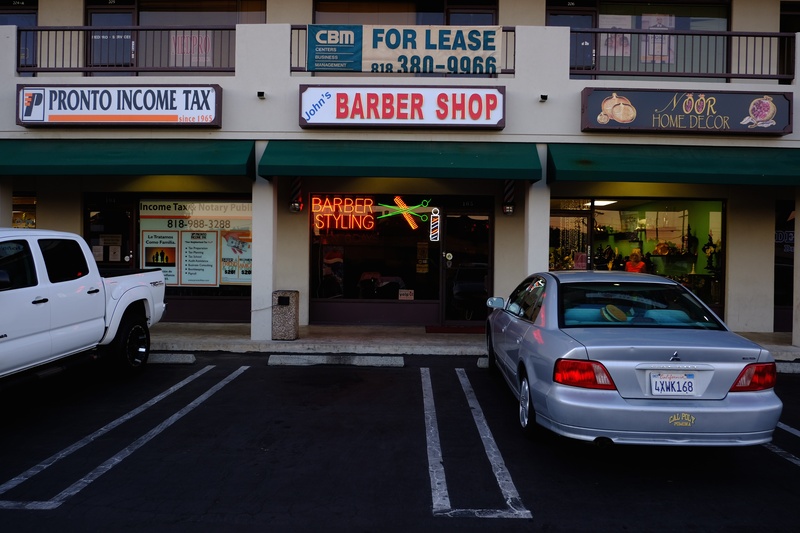 John’s Barber Shop (14435 Sherman Way Suite 105 Van Nuys, CA 91406) has only been open a year, but has garnered a devoted local following. I found them, again, on Yelp and went there today for a $15 haircut. Third generation barber Jerry said that owner John also comes from a long line of barbers. The styles adhere closely to the current “fade” trend evocative of the 1950s with greaser hair and short razor thin back and sides. 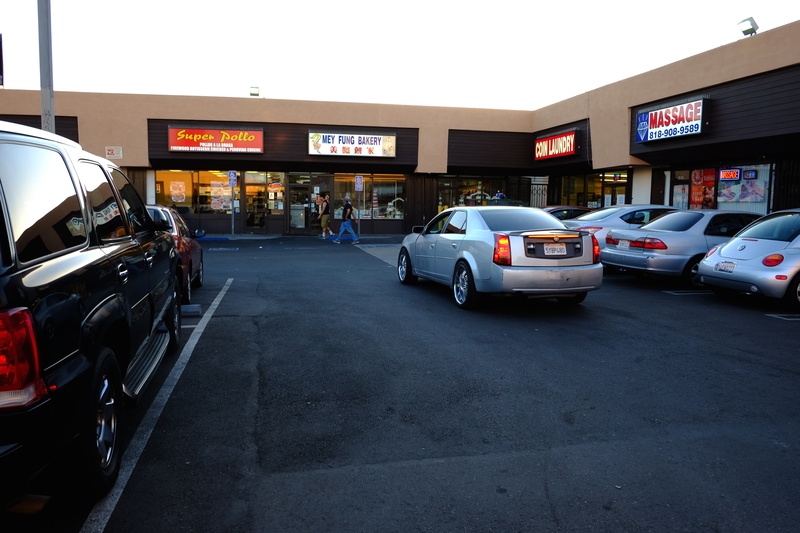 Near John’s in another expansive mall, south of Sherman Way, one finds a variety of ethnic restaurants including Tacos Mexico (7140 Van Nuys Blvd Van Nuys, CA 91405) housed under a red and white taco shaped roof. 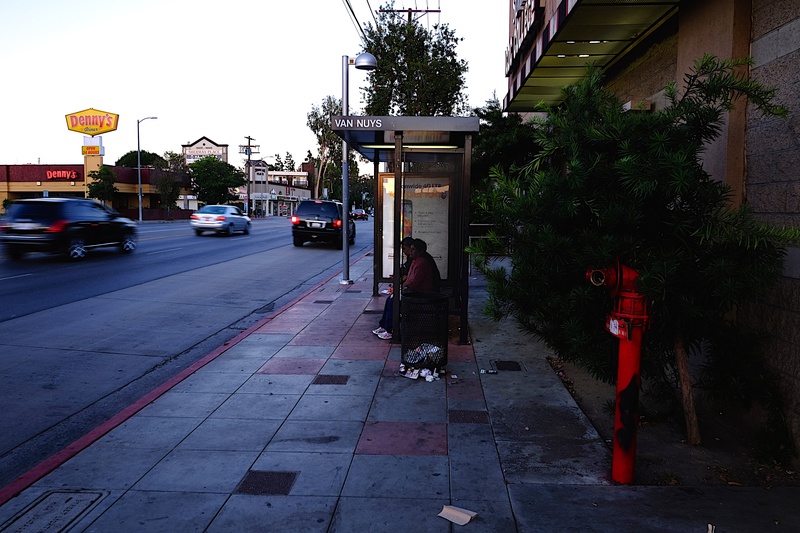 Many reviewers give it high marks while some express the usual hatred for Van Nuys itself. 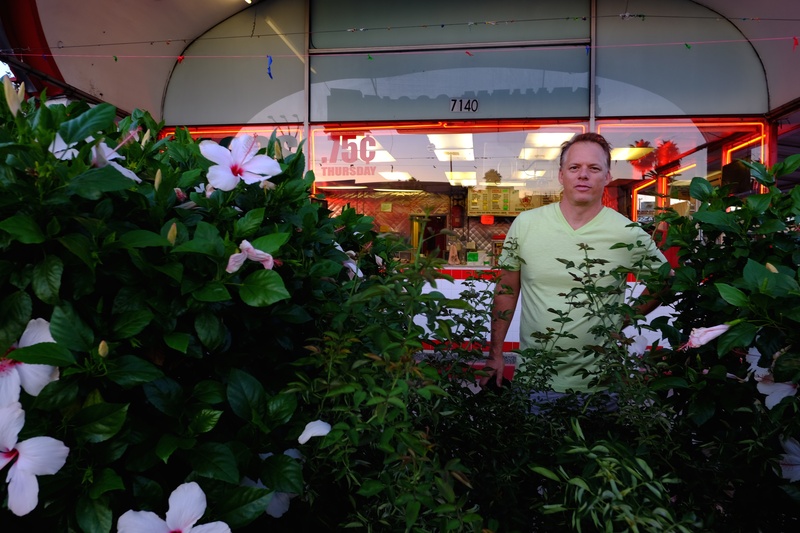 Architecturally, logistically, aesthetically, the landscape of Van Nuys Boulevard at Sherman Way reflects the lowbrow tastes of the 1980s and 90s when small shops were cleared out and vast blacktops of asphalt and ungainly malls proliferated. On a hot day, this is one of the hottest places to walk, un-shaded by trees, drowning in exhaust fumes, and a nightmare for pedestrians to navigate with lumbering buses and speeding cars. 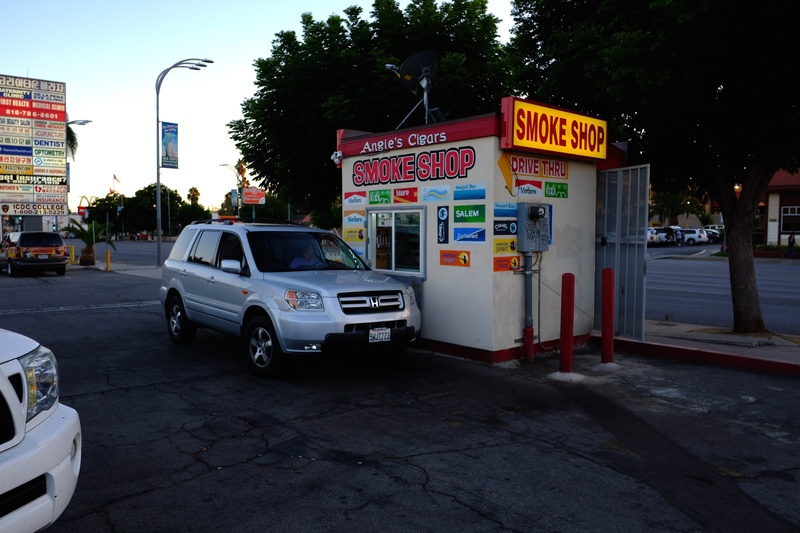 Van Nuys reaches the acme of ugliness at this point: cheap, crass, tacky, devoted to car and fast food, obesity and environmental degradation. 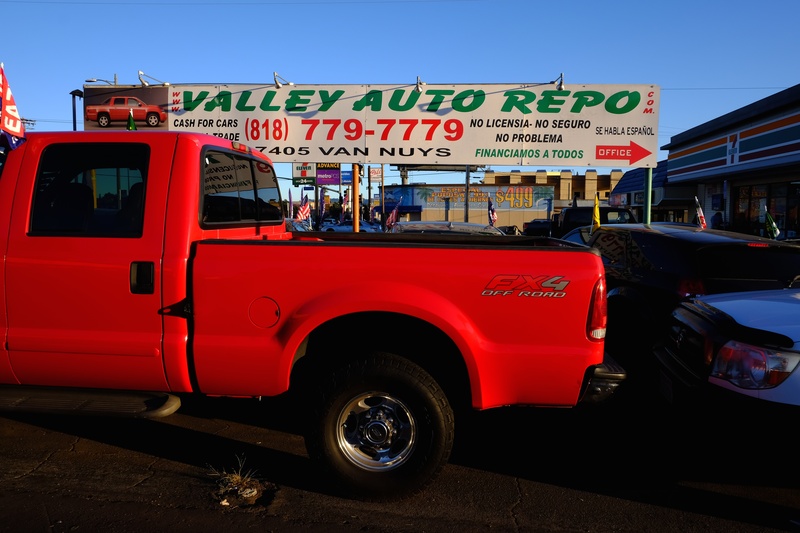 But within this suburban hell, there are many small businesses that are making money, employing people, and greasing the economic engine of the San Fernando Valley. 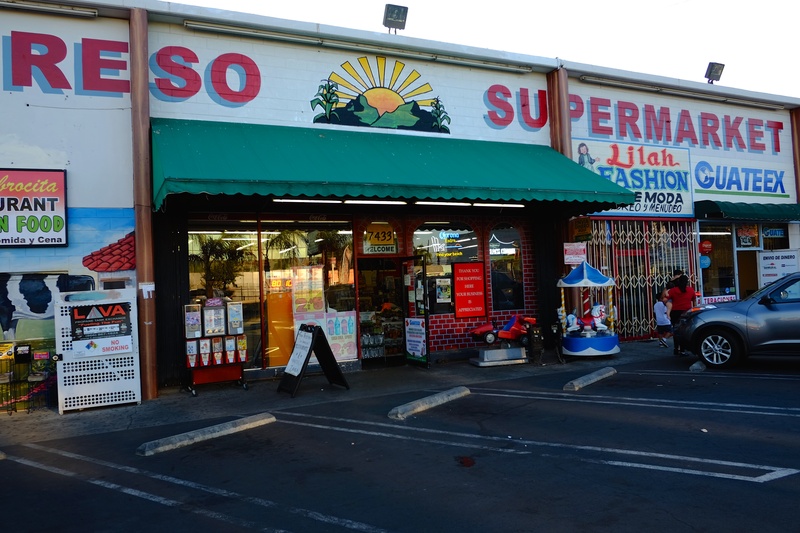 A largely Latino population runs and patronizes the stores, shops, services and eating establishments, often paying cash for everything from transmissions to groceries. You were always good at giving great tours; I see you haven’t changed. Thanks. One of my favorites that I use as my screensaver is the Endeavor at Randy’s doughnuts at sunrise. Glad you liked the Endeavor. However I was NOT the photographer . I merely posted someone else’s photo. 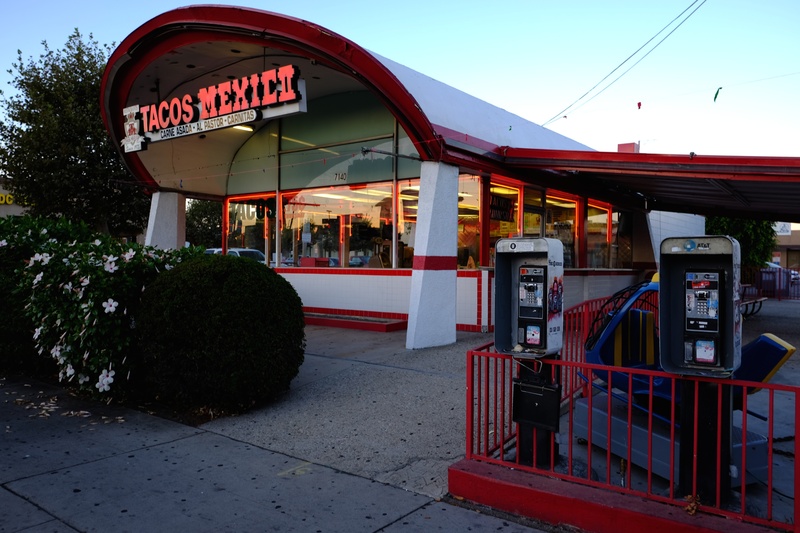 The Tacos Mexico building was the original Arby’s location from the late 1960s. Later Arby’s moved its big sign two blocks south, moving into the building that was originally a Roy Rogers and later a West Castle (White Castle). Now the Arby’s has been closed and the building is either being dismantled or remodeled, can’t tell which. 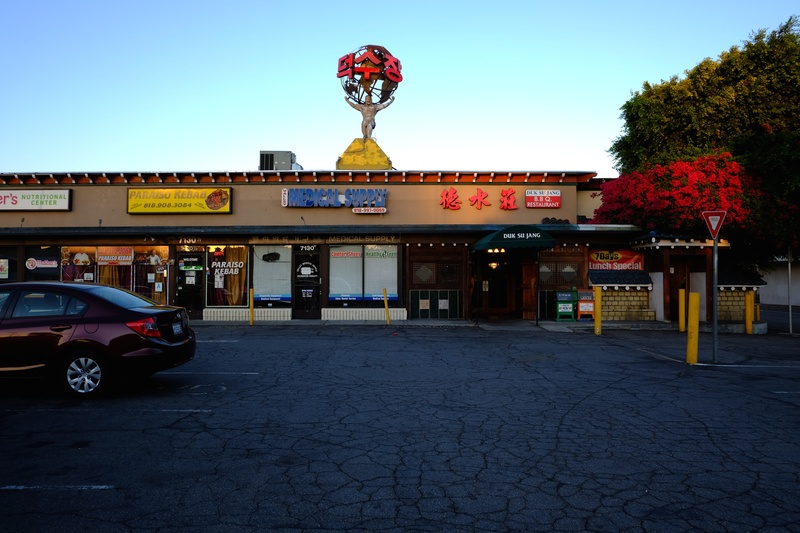 The Atlas on top of the rooftop is because just below was a Jack Lalaine gym. And Tacos Mexicos used to be an Arbys.